The beautiful mare Delight’s Divah RB is our July cover horse. This lovely mare has captivated all who have seen her since she made her first appearance in Europe. Owned by Alsayed Stud in the Kingdom of Saudi Arabia, Delight’s Divah is enjoying a very successful show season and has just taken her second title on the famed beaches of Menton at the Mediterranean & Arab Countries Arabian Horse Championships. 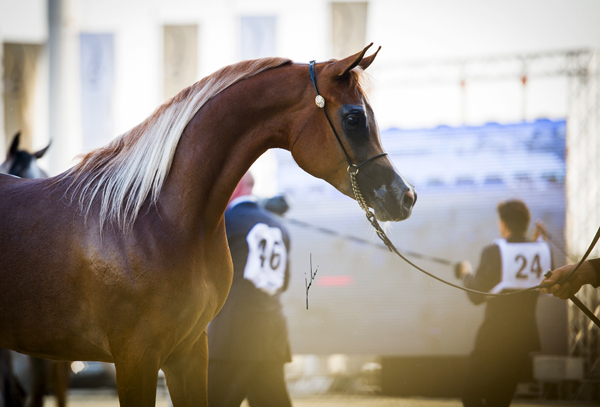 Bred in Brazil by Adriana Espindola de Moura, Delight’s Divah was spotted at a very young age by Abdulwahab and Khalid Alsayed, and they purchased her to be one of their lead broodmares as well as part of their very successful show team. A rich chestnut in colour, with a flaxen mane and tail, Delight’s Divah was named Brazilian National Reserve Champion Filly while she was still a foal. Sired by Ajman Moniscione (ex Anthea Moniscione by Padrons Ghibli out of Armonia), a son of the world-famed ‘champion maker’, WH Justice (Magnum Psyche x Vona Sher-Renea by El Sher-Mann), Delight’s Divah is out of the incredible Brazilian mare, Honey’s Delight RB. A Brazilian National Champion, a US National Champion Mare, Scottsdale Champion Mare and Arabian Breeders’ World Cup Silver Champion Mare, Honey’s Delight RB has been one of the most influential mares in Brazil this decade. This lovely bay doubles up on the Magnum Psyche (Padrons Psyche x A Fancy Miracle by Sasaki) blood in Delight’s Divah as she is by his son, JJ Senor Magnum (ex Shah Maali by Bey Shah out of Jubeylia) and out of Honeymoon FHP (NV Sure Fire x AN Gazala CH). 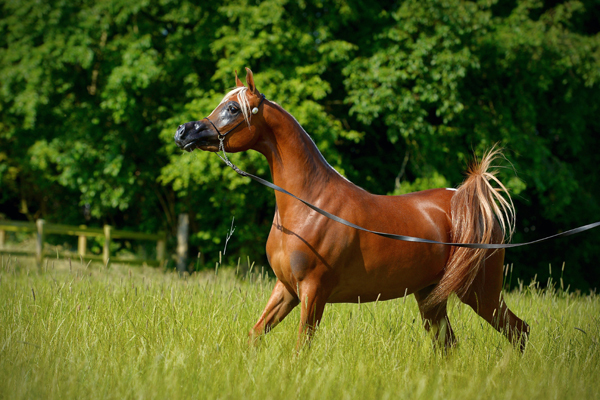 Honey’s Delight is a true dam of note, having produced Delight’s Divah’s maternal half-sister, Esperanzza Al Ventur (by FA El Shawan by Marwan Al Shaqab out of Foxbriar Shakita), who secured the 2012 Brazilian National Filly title ahead of Delight’s Divah. As a yearling, Delight’s Divah swept into the ring in Menton and from the moment you first saw her, she immediately commanded your attention. 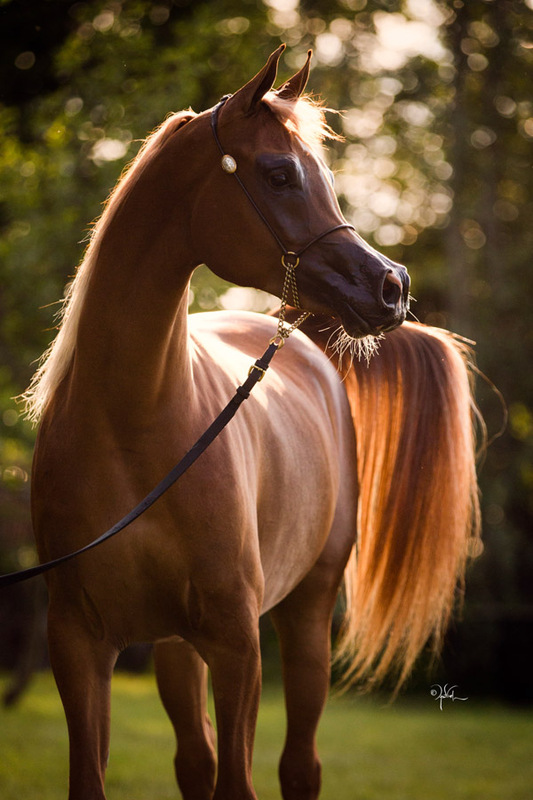 The combination of her great movement, exotic, extreme face, and natural Arabian type all combine together to create one very beautiful Arabian mare. And judges across Europe and the Middle East agree! Her titles include 2013 UK International Arabian Horse Show Silver Junior Female Champion and Gold Yearling Filly at the King Abdulaziz Arabian Horse Center Show in Dirab, Saudi Arabia, both in 2013. 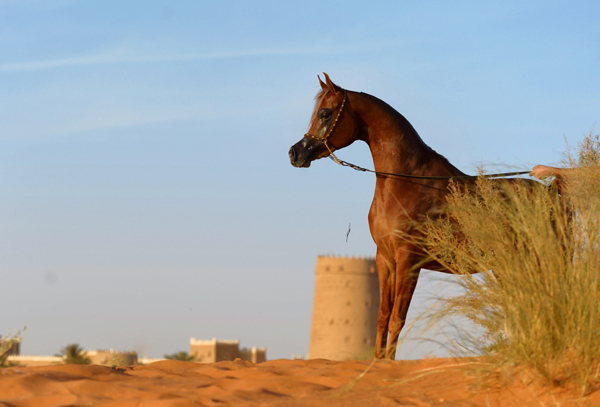 2014 saw her take the Silver Junior Female Championship at the Prince Sultan Bin Abdulaziz International Arabian Horse Festival in Tebrak, Saudi Arabia, and also Gold Junior Female Champion at the Qatar International Arabian Horse Show. More titles followed in Delight’s Divah’s three-year old year, taking the Gold Junior Female Championship at both the Sharjah International Arabian Horse Festival and at the Mediterranean & Arab Countries Arabian Horse Championships in Menton. Having had a break from the show-ring to have her first foal, a colt by Eden C (Enzo x Silken Sable by Genesis C), Delight’s Divah has returned to the show-ring once more, this time to compete in the mare classes. At her first show, the Tulip Cup at the end of April, Delight’s Divah was named Gold Senior Female Champion. Returning to the beaches of Menton, one of her favourite arenas to perform in, this delightful mare took the Silver Senior Female Championship title. With July comes the rest of the summer shows, before the title shows beckon once more. Delight’s Divah RB has already placed second at the Paris World Championships as a filly, as well as third at the All Nations’ Cup in Aachen. 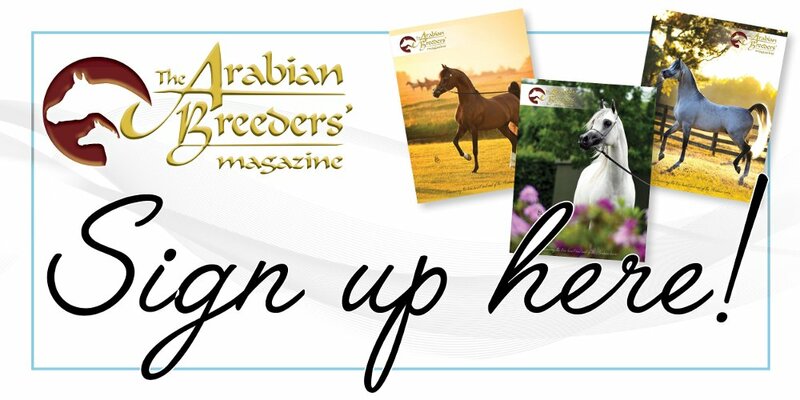 This year, all at Alsayed Stud will be hoping for a much-deserved title at one of these prestigious shows. But regardless of the results in the show-ring, Delight’s Divah RB very much remains the queen of Alsayed Stud.